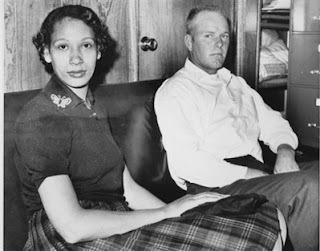 Mildred Loving, the black woman who along with her white husband Richard Loving, challenged the ban on interracial marriages in Virginia, passed away last Friday according to her daughter. “I want (people) to remember her as being strong and brave yet humble — and believed in love,” Fortune told The Associated Press. She became pregnant a few years later, she and Loving got married in Washington in 1958, when she was 18. Mildred told the AP she didn’t realize it was illegal. Attorneys later said the case came at the perfect time — just as lawmakers passed the Civil Rights Act, and as across the South, blacks were defying Jim Crow’s hold. “The law that threatened the Lovings with a year in jail was a vestige of a hateful, discriminatory past that could not stand in the face of the Lovings’ quiet dignity,” said Steven Shapiro, national legal director for the ACLU. After the Supreme Court ruled, the couple returned to Virginia, where they lived with their children, Donald, Peggy and Sidney. Each June 12, the anniversary of the ruling, Loving Day events around the country mark the advances of mixed-race couples. I was reading this article in the Washington Post this morning, Learn to Be Nice to Your Wife, or Pay the Price. Japanese men are learning the hard way that it pays to show some lovin’ to your wife. And after reading this article they need some serious lessons. Can you blame the wives after being neglected all those years? Imagine being in a marriage where your husband ignores you and treats you like his maid for two decades. I would bolt too. In 1980, about three-quarters of Japan’s college-educated women were married by age 29. Now, seven out of 10 are single at that age. In the past 20 years, the percentage of women in this elite demographic category who do not want to marry at all has almost doubled — to about 29 percent. These young women are seeing what the older married women are going through. Hisano Itahashi said that she is heartened that her husband is trying to make amends for the decades he ignored her. Still, she said, the war in her household is not over and her husband has lots of work to do. I couldn’t believe what I read when she said her husband has only said I love you to her once in all their years of marriage. That’s trifling.